Brinley is learning to go potty sit on the potty and do nothing. He has no interest in actually peeing in the dang thing, he just wants to sit ...and read. His favorite thing to say while on the potty is "Toots!!" Go figure. It seems I just can't get used to the things that boys do. 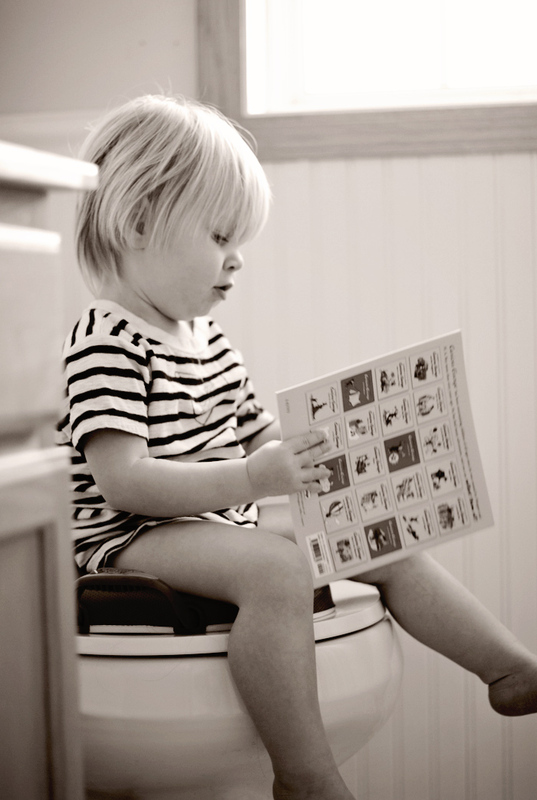 Reading on the toilet? Who does that? Where do kids learn these things? He certainly did not learn this from me ~ CUE: germ-a-phobe tendencies. I just can't help but think it is the cutest thing. He sure knows how to use his charm to make us laugh! But unfortunately this is one of our favorite Curious George books and now I am terrified to return it to the book shelf -CUE: germ-a-phobe tendencies. i just really love him. but agreed on the germ thing. ah, stink. STOP! cutest pi of all time!